The influential and adventurous Chicago socialite Mrs. Potter Palmer (Bertha) struck out for Florida in 1910, eventually buying thousands of acres of land across the state. 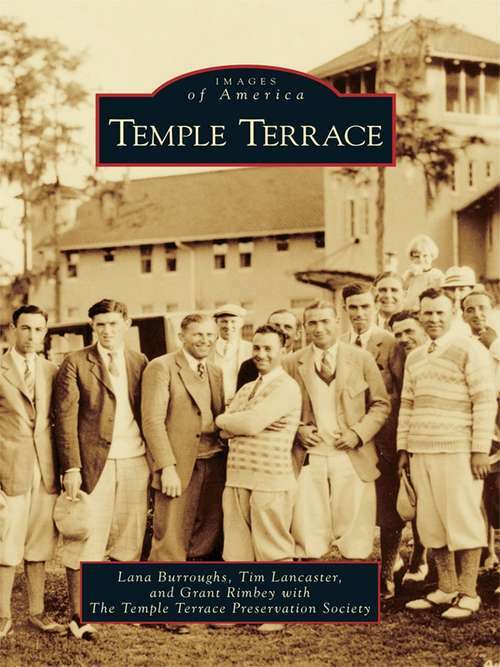 In 1914, after setting up residence in Sarasota, she established Riverhills, a hunting preserve on 19,000 acres in the area now known as Temple Terrace. Local historians believe it was Palmer's vision to create one of America's first planned golf course communities, where every Mediterranean Revival villa sold would include its own grove. Intended to provide a hobby and part-time income for the wealthy Northerners lured to the Sunshine State, 5,000 acres were planted with the exotic hybrid Temple orange--making up the largest citrus grove in the world at the time. The new city was named after the orange and for the sloping terrain of the land along the Hillsborough River.